Very few professions require you to take care of others, oftentimes when they are at their worst physically and emotionally, day in and day out. Nurses have to think on their feet, pay attention to detail, and always put their patient’s needs before their own. The job can be tough, but while the challenges are great, so is the reward of being able to make a difference in so many lives every time you come to work. The founder of modern nursing was Florence Nightingale. She gained attention for organizing nurses during the Crimean War in 18th century Europe, and earned the nickname ‘The Lady with the Lamp’ while making rounds for wounded soldiers in the middle of the night. 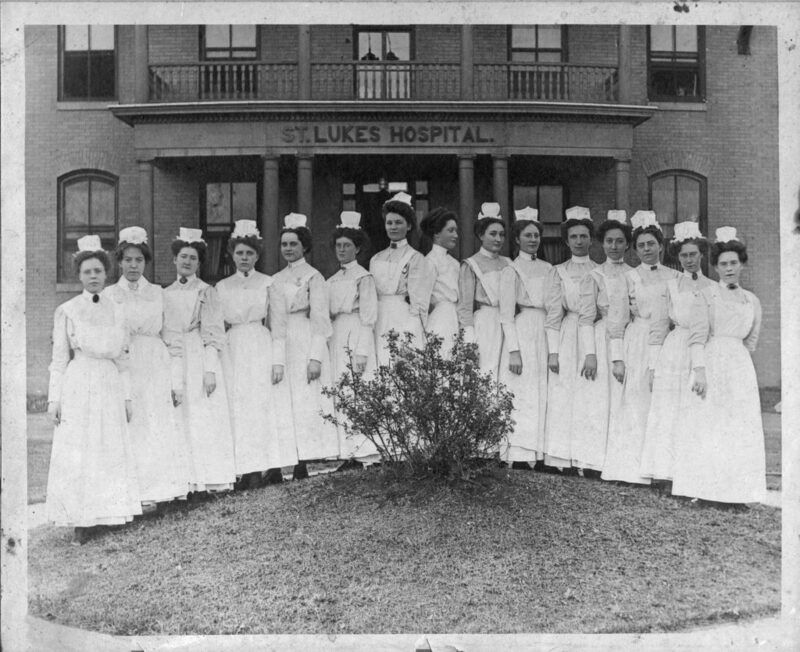 Nurses and healing care had been around long before Florence’s time, but she’s credited for her pioneer work and educational role in the field. Her Florence Nightingale Faculty of Nursing and Midwifery, established in 1860, was the first secular nursing school connected with a fully serving hospital and medical school. It still operates in London today as the oldest, and one of the highest ranking, nursing schools in the world. Every year we recognize the instrumental part nurses play in our society by celebrating National Nurses Week, which starts this year on May 6 and ends on May 12, Florence’s birthday. 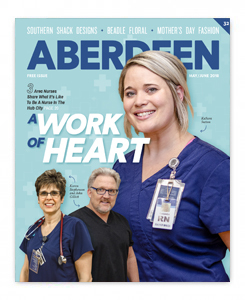 To thank all the nurses who do an incredible job every day in our community, Karen Stephenson, John Gillick, and KaSara Sutton share what it’s like to be a nurse in Aberdeen, and all the opportunities that come with their career choice. Karen Stephenson from Redfield has seen a lot in her 35 years as a nurse. She first earned her LPN in 1983 at Lake Area Tech in Watertown, and then eight years ago after her children were grown, she went back to school for her RN at Sisseton-Wahpeton College. “When I first graduated with my LPN, we had to wear the white nursing uniform-white dresses and hose, white shoes, and white nursing cap. Now we wear the ‘Sanford Blues,’ as we call our navy blue uniforms,” she says. 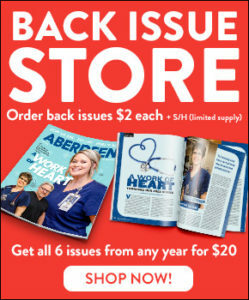 Karen also mentions a big advantage of working in the medical field in Aberdeen. Here, our hospitals offer a wide variety of medical services with more specialties at the local level. This is beneficial not only for the public, but also for the nursing students at Presentation and Northern, because they’re able to complete their internships in town and get exposure to many areas while doing so. “We get to be a part of the shaping of their careers by sharing our experience and knowledge and helping them.” She enjoys working at Sanford because of how everyone jumps in to do everything they can for the patients. Their ER department has won several Press Ganey Awards, which recognize outstanding work environments and patient care. “I’m very proud to be a part of our team,” Karen says. When asked about Avera St. Luke’s, where he’s worked as an ICU nurse since 2000, John Gillick quickly comes up with one word: family. “I’m always happy going to work. We have a lot of teamwork, and everybody pulls together and looks out for each other.” John grew up in Ipswich, and after high school moved to Rapid City to study engineering. What made him change his major and embark on a career in nursing instead? “All the physics classes,” he laughs. But jokes aside, the medical field had always intrigued him. His mother worked as a nurse for over 40 years in Ipswich, and his sister has worked as an OB nurse for 40 years as well. 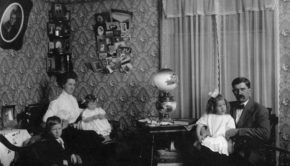 At the time, the School of Mines had a nursing program, so he made the switch and hasn’t looked back. “I didn’t think in high school I was going to be a nurse, but it’s a good field and very rewarding,” he says. John worked in the open heart unit at the Rapid City Regional Hospital after graduation for four years. Then, he and his wife Lori, a respiratory therapist at Avera, spent time traveling all over the country while working as traveling nurses. After about nine years on the road, they came back to the area they grew up in, and raised their daughter, Ashlea, who is also a nurse in Fargo. 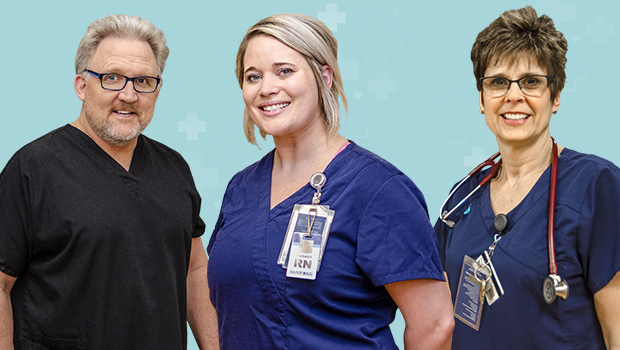 John’s experience working at bigger hospitals in many different states gives him an even bigger appreciation for the cooperation among coworkers that goes on at his job in Aberdeen. 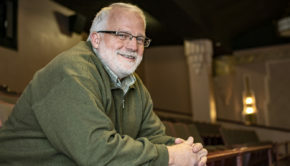 He says the basics of nursing will always be the same, but that the biggest change he’s noticed in the field over the years is the advances in technology.